The apartment is centrally located. Close to the University and Hospital. The apartment is decorated to a high standard, including a new kitchen and bathroom. It has four bedrooms - all have a lockable door, bed, wardrobe, desk & chair. Bedding and linen included. 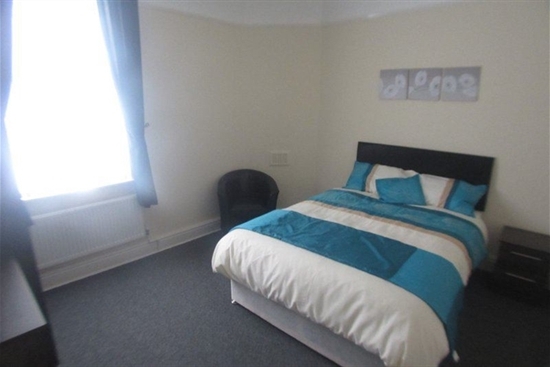 The rooms in the apartment are rented individually and a room is available from April / May. The living room is very comfortable with sofas, tv and a breakfast bar with stools for dining. I am an easy going guy, student and I will be moving out of the apartment for placement abroad from April or May and I'm looking for someone similar who will look after the place and treat the flat like their own home. Please contact me either by phone or email for more details or to arrange a viewing. Se andra hyresbostäder som uthyres i Stockholm Kungsholmen.